In the Eyes of God, there is only one kind of love that is acceptable to Him…Love that is pure and selfless in nature. It is a love that always honors the Father of Creation, by being unconditional and kind. It loves not only those that love you back, but also those who have wronged you…shown hatred towards you…who are strangers…and friends, alike. This is how He created and defined love. He even demonstrated His Love for us through the Life and Death of His Son, Jesus Christ, on the Cross, at Calvary; as the Ultimate Symbol of Unconditional Love. Love of such purity, does not need to be guided or told how to do so. Because God is in everywhere and in everything; and if you are in tune with God and your relationsihp with Him, He will surely guide you in how to love. 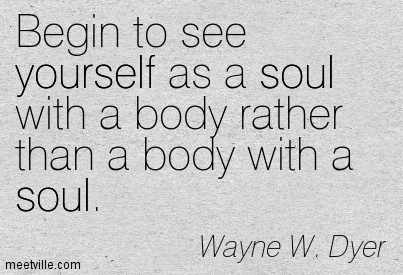 It is innately in all of us, since we are created by Him. He is the source of all Love. However what separates love that is professed by Divinity and that of evil, is that love originating from Divinity sustains all condition and time; all circumstance and labels. A heart grounded in Divine love, loves the way it does because it feels that it is the only right way to love. And others that encounter such a heart, can not help but to feel that love, and to be changed by it. Or to feel free to encounter such a heart, and know that they are protected by such love. In this day and age, with evil running rampantly, there are so many influences out there in trying to tarnish such love out of existence. Through trials and tribulations, we must remain focused on the Heavenly Paradise that God has promised us, through Jesus Christ, His Son, in His Death and Resurrection. Remember God wins at the end….we must remember that. Evil may look like it is winning, but remember it is only TEMPORARY. Nothing of evil and its counterparts are permanent fixtures; they are all TEMPORARY. Even the love that evil seems to show you with material goods and material wealth is TEMPORARY. 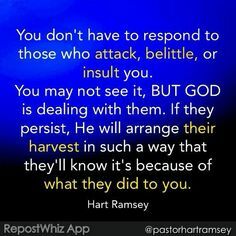 Even the wrath that evil carries out against those who dedicate themselves to serving the Father of Creation is TEMPORARY. Evil will seek for earthly riches like power and money; to satisy lust and temptation. These are TEMPORARY things, that provide happiness. However, God’s Wrath is PERMANENT. Why? Because He gives us till the last breaths in our earthly bodies to make things right with Him…while He showers us with His Unconditional Love and Mercy throughout our lifetimes. He gives us enough chances to know and learn about His Love…with every new day that He gives us to live; with the birth of every new life on this earth; with the love shown through a child or pet, parent or sibling; or the love shown even through the a random act of love through a stranger. 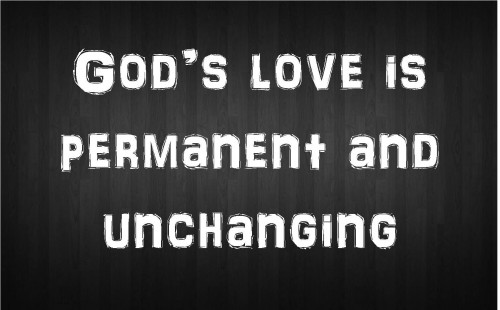 God’s Love is PERMANENT. He loved us as much as to send His Own Son, Jesus Christ, to die on the Cross, for the Salvation of ALL of Mankind. Salvation from what? From being in the hands of evil. He is waiting to bring back home all of His Children, the ones who truly believed and lived by His Unconditional Love. God’s Happiness is PERMANENT. Remember, Jesus has said, “Truth is not seen or heard; but felt.” Any heart that is grounded in God’s Unconditional Love, will be able to feel the truth of God; and feel the deception of evil. Love is not all the same in God’s Eyes. If it is not in accordance to what He has professed, and to what is true to His Teachings, then He will not find it acceptable. How can we conquer Evil….by professing God’s Unconditional Love, till the very last breath in our human bodies. This entry was posted in Thoughts and tagged Battling Evil, discernment, Evil, evil ways are temporary, Evil's Wrath is Temporary, Faith, Fight over souls (good vs. evil), God's Eternal Love, God's Happiness is Permanent, God's Love, God's Promise, God's Unconditional Love, God's ways are permanent, God's Will, God's Wrath, Jesus Christ, Persecution, Satan's deception, SELF LOVE vs. SELFLESS LOVE, Spiritual Battles, Spiritually Fed, Tarnishing God's Love, Trials and Tribulations on February 9, 2013 by foodforthespiritualsoul.